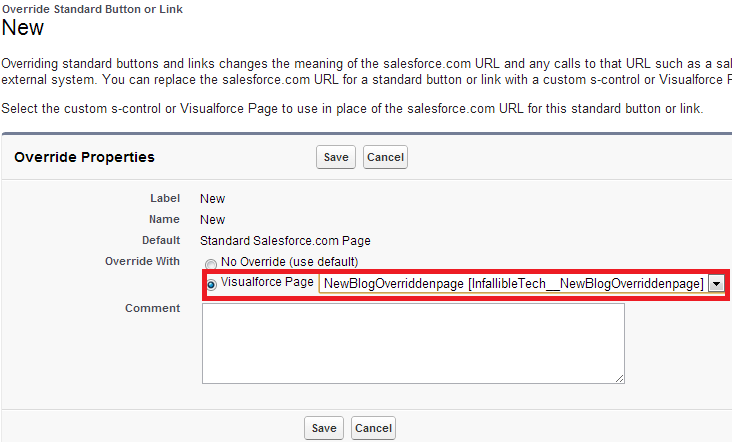 Infallible Techie: How to populate field values in Standard Page Layout in Salesforce? 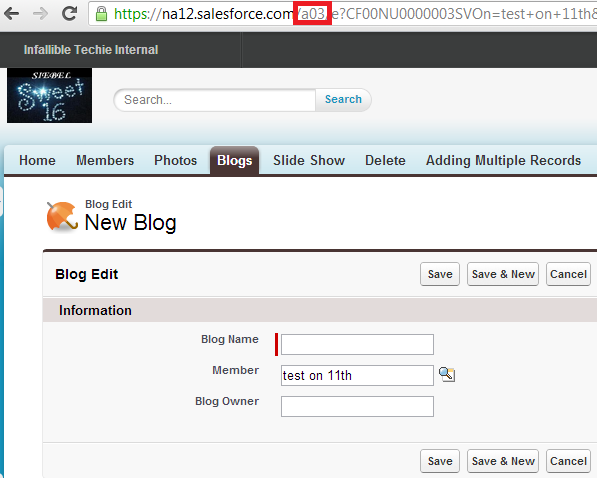 How to populate field values in Standard Page Layout in Salesforce? 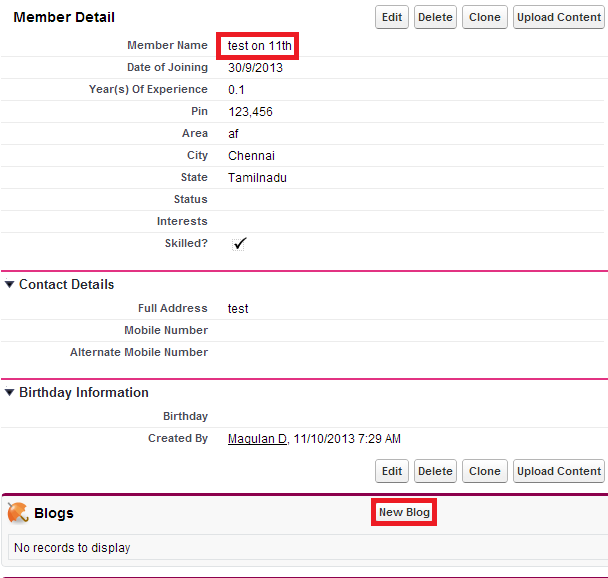 The relationship between Member and Blog objects is Lookup. 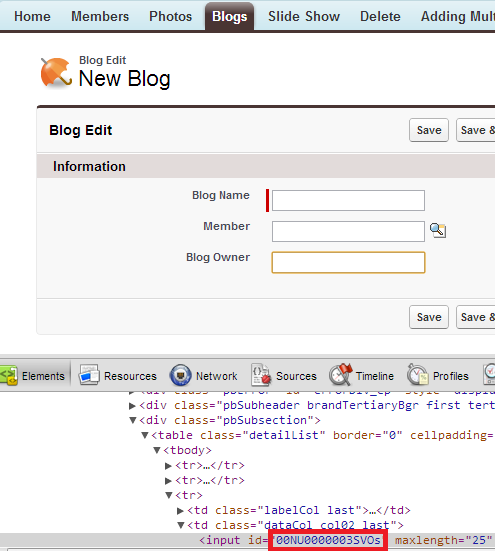 Member is parent and Blog is child. 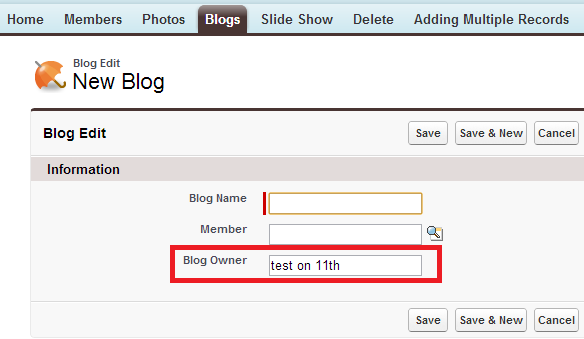 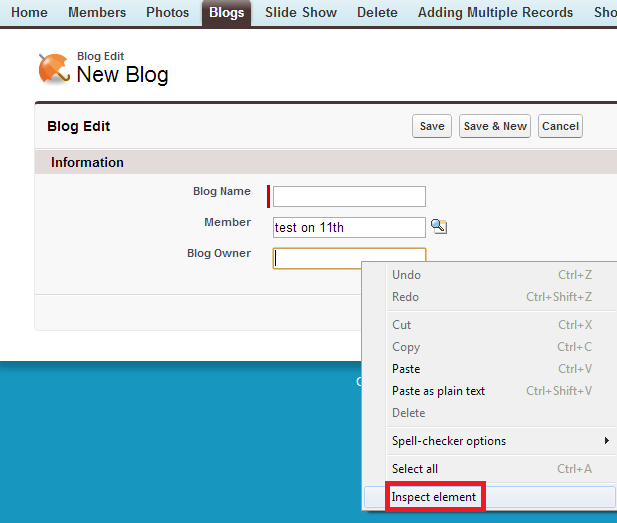 When "New Blog" button is clicked from Blog related list in Member Detail page, the Blog owner field in Blog record should be auto populated from Member Name.